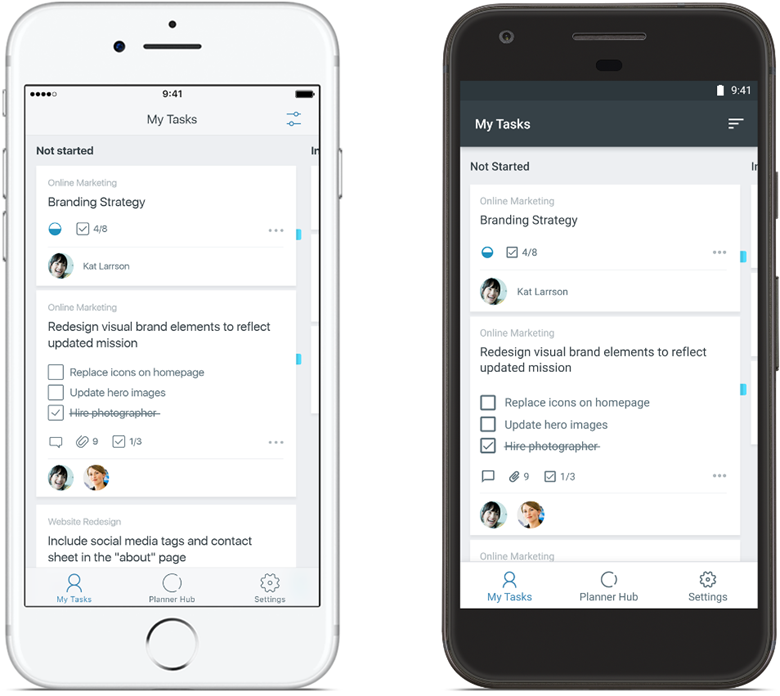 This week, Microsoft announced that the new Microsoft Planner mobile app is now available for iPhone and Android phones. Starting on May 31, current Planner users can use this companion app to view and update their plans on the go. While previously Planner was only accessible on web, the new mobile app now makes the planner functionality available on both the Android and iPhone platform, a feature that was often requested within the Office 365 community. Planner, which is part of the Office 365 suite, provides a simple, visual way to organize teamwork. Planner makes it easy for your team to create new plans, organize and assign tasks, share files, chat about what you’re working on, and get updates on progress. The Planner app, although bringing the much anticipated mobile features has its limitations. It currently is only possible to edit existing plans with the app. New plans still have to be created on the web edition of Planner. However, according to Microsoft latest press release, new feature updates such as the ability to create new plans, push notifications and Intune integrations are coming soon. Planner is available to customers with Office 365 Enterprise E1–E5, Business Essentials, Business Premium and Education subscription plans. Current Planner users can download the app for Android and iOS.